There seems to be quite a bit of confusion regarding LED televisions, it seems to be common belief that ‘LED’ refers to the screen itself, this isn’t right, all screens are LCD, LED refers to the method of backlighting the screen. I’ll expand on that a little – the picture is produced by the LCD panel, or screen, this is the bit you can see and touch, it’s only a couple of mm’s thick, very delicate, and very expensive. 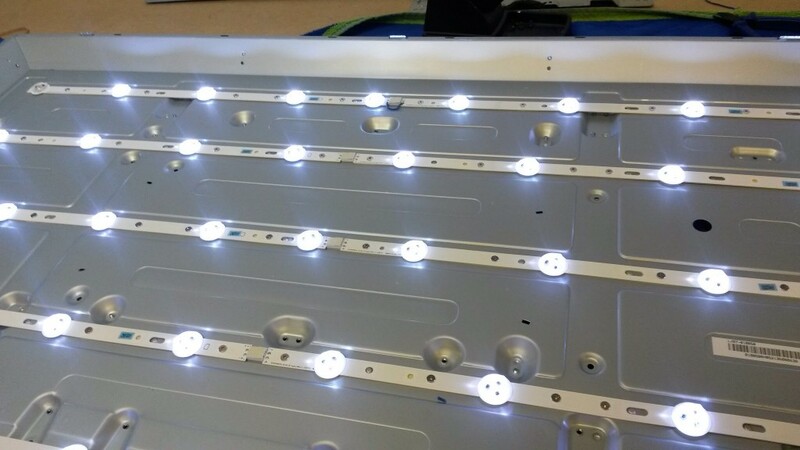 The LCD panel doesn’t produce its own light, therefore it needs some form of illumination behind it, this is where the LED’s come in, they are arranged in strips behind the screen and produce a light powerful enough to illuminate the screen. Before LED backlighting fluorescent strips were used, these were more reliable but needed a more complicated power supply to drive them and also took up more space, meaning these tv’s were necessarily deeper. Original LED backlit tv’s were very reliable, but with the demand for cheaper tv’s the components, including the LED’s, became cheaper and less reliable. Some of the cheaper models from places like Argos struggle to make it out of guarantee before the LED’s fail. All is not lost though, despite what the manufacturers say, the LED’s can be replaced. It’s a very delicate and time consuming job, taking at least an hour to remove everything, including the screen, to reveal the LED’s. Then each strip, or sometimes each individual LED has to be tested to establish which ones are faulty, they can then be replaced, the backlight tested and, all being well, the tv reassembled. All this can take up most of a working day, for this reason I have a standard charge of £100 plus any cost involved in collection and delivery, this obviously varies depending on how far I have to travel. This page is only intended to demonstrate that this kind of repair is possible, it is not intended as a tutorial for anyone unqualified that thinks they can ‘have a go’. I’m regularly contacted by people that have stripped their screens down to the backlights and then have no idea how to proceed, I used to offer advice but won’t do that any more, it’s much safer to get it to someone qualified. 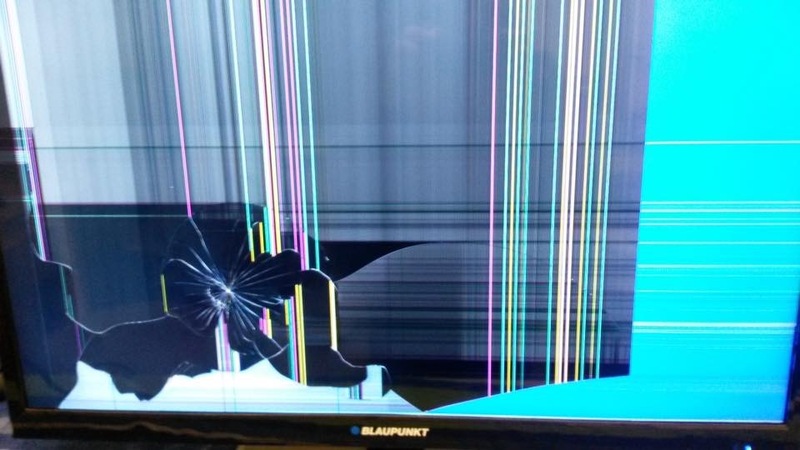 I’ve lost count of the people that have damaged their screen getting it in and out, or damaged the led strips trying to remove or test the LED’s or even damaged the power supply by poking around with a car battery or a bench power supply. Please take it to someone with the skills needed to carry out this kind of repair!